Last weekend I learnt how to cook Chinese dumplings. 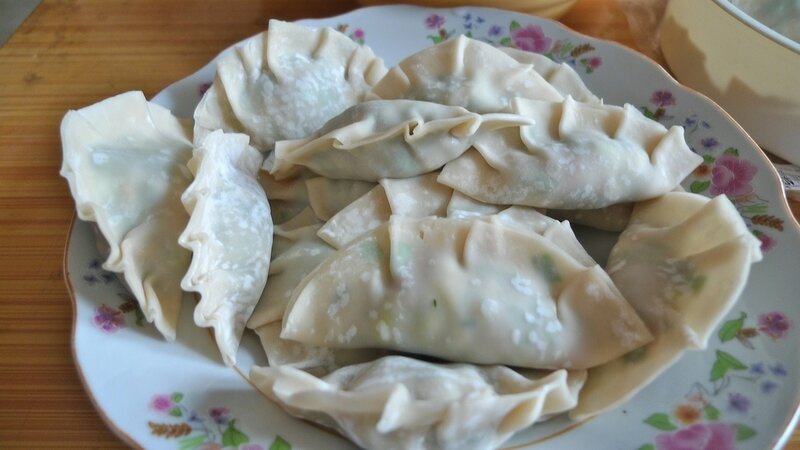 For those who might not be familiar with these tiny parcels of deliciousness a dumpling consists of minced meat and chopped vegetables wrapped into a piece of dough and then boiled, fried or steamed. Pretty simple but somehow I don’t think Jamie Oliver has anything to worry about! 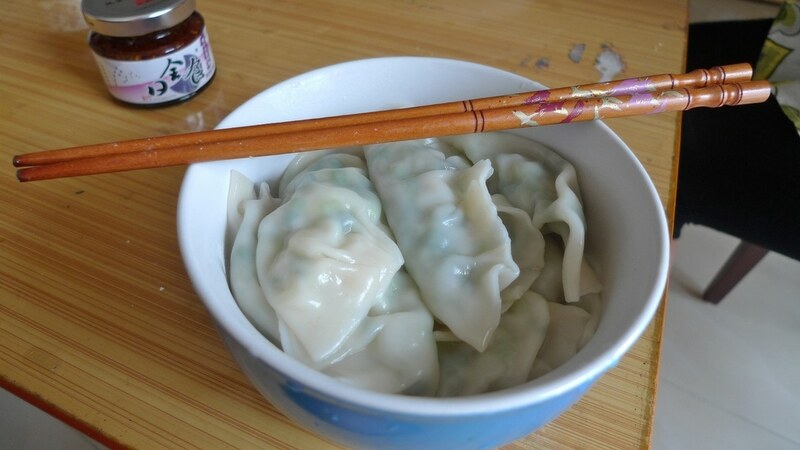 These are just the most simple type of dumpling to make – there are many more shapes and varieties with different fillings. Take a look at these great guides for more inspiration (1, 2). You’ll see that dumpling making is a pretty serious business! Yeah, that was the printing mistake I mentioned. Turns out Chinese sizes are quite different from English ones! Thanks Helen, although I think your how-to guide was far more comprehensive 🙂 Next time I’ll have to try making the dumpling wrappers/pancakes myself.